Revolver was established in the spring of 2006 when Nick Handler, Chris McManus, and Marc Weinberger came together to build a new Bay Area Ultimate program from scratch. They sought a team where young players could learn from veterans, where lasting friendships were made, and where the goal was to getting better in every practice and game – rise. Although Revolver did not set out to win championships, it quickly became apparent that the program’s focus on young talent, role playing, and great spirit had great potential. Between 2006 and 2008 Revolver qualified for Nationals twice and finished 5th both times. In 2009 Revolver made its first appearance in the National Championship finals, losing to Chain Lightning of Atlanta in a game that exposed the program’s inexperience at that level. The mistakes would not be repeated however, as in 2010 Revolver broke through and won both the National Championship and the World Club Championship in Prague, CZ in convincing fashion. Revolver enjoyed continued success in the next two years, winning Nationals in 2011 and Worlds in 2012. Additionally, Martin Cochran won the Farricker Award in 2012. A loss to Doublewide of Houston in the finals of Nationals in 2012 stopped Revolver’s streak of major championships, and following that game several Revolver veterans retired. In 2013 Revolver returned with a largely revamped roster, including 8 entirely new players. 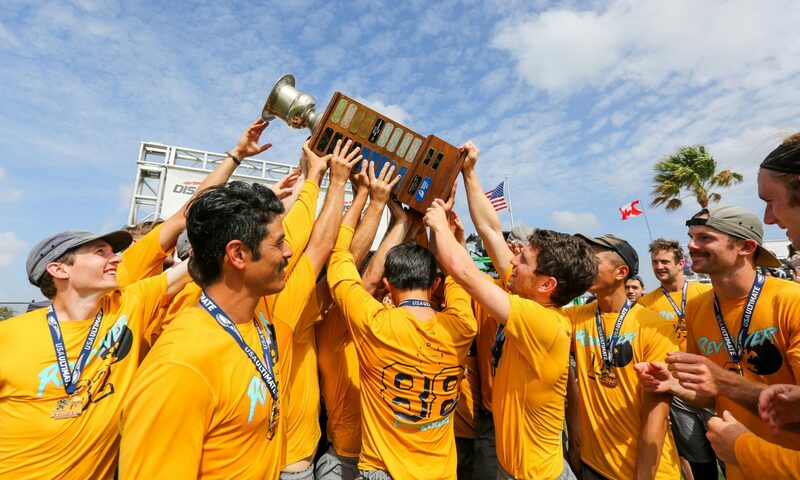 Public expectations for the team were not high, but by learning quickly and buying into the role-playing concept, the program had a very successful year, winning the US Open, the National Championship, and the inaugural USA Ultimate Triple Crown. Beau Kittredge won the Farricker Award, marking the 4th time in 5 years that members of the Revolver program have won the sport’s top individual award (which includes a dual focus on level of play as well as Spirit). The 2013 season was particularly gratifying, as it showed that the Revolver values and system, rather than any specific set of players, has been the key to Revolver’s success. The 2014 season was another success, with a World Club Championship in Lecco, Italy. However, the National Championships ended in disappointment after an upset loss to GOAT in the quarterfinals. Revolver regained its footing in 2015 with another National Championship and Triple Crown Championship. Although the 2016 season ended in heartbreaking fashion with a double-game point loss to Boston Ironside in the Championship game, the 2017 team found success with another National Championship after avenging the 2012 loss to Doublewide. We can’t wait for the 2018 season to get underway and see what lies ahead!